How Does the Fashion Industry Address and Overcome Racism? From the outside, being an influencer looks a lot like attending glamorous events, going on luxurious trips, and wearing fancy clothes. While these are part of the job, few people get to see the less pleasant side of it. After all, one can only know the ins and outs of something by being part of it. I certainly didn’t expect to come across the many challenges I've encountered as a black fashion and lifestyle influencer. And they all have an underlying theme: my race. Being black in the fashion—and, well, in any—industry comes with a series of microaggressions and demoralizing observations. Things like walking into a room and being the only black person, attending an event and being asked if you’re in the right place, or listening to a panel where you have nothing in common with the speakers. It’s feeling like the token hire because no other black girl landed that contract. It’s the old adage, “You have to be twice as good to get half of what they have.” It’s being denied opportunities because you don’t fit a certain standard of beauty. It’s going above and beyond for a project and still getting paid less than your white counterparts. It’s feeling like you have to strip yourself of your cultural identity in order to be accepted. It’s not a bad dream we get to wake up from. It’s a reality I, along with many others, have to learn to cope with. While the landscape is slowly changing (for example, there’s now a bigger push for diversity and inclusion in castings and runway shows), these experiences speak to the ever-present systemic lack of representation of minority groups in the industry. And they don’t just happen to a select few but are universal across the board. Take it from these other women. 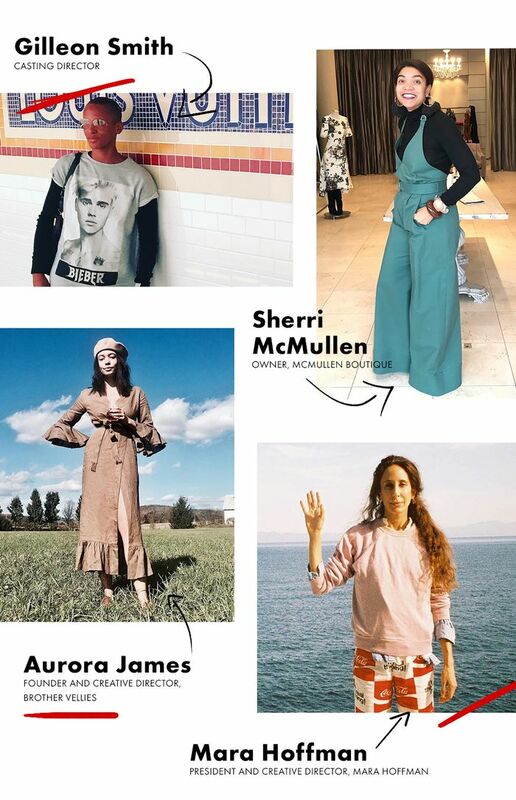 Sherri McMullen is the owner of a luxury boutique in Oakland that supports emerging designers of color. She can recall many instances where she felt marginalized because of her niche and boutique location (Oakland has historically been known as a heavy crime city). When she opened her business in 2007, her store was left out of many events happening in the Bay Area. Over 10 years later, she was excluded from news coverage, and boutique owners who came after her gained press for the same work she had been doing all these years. Despite everything, she is still fighting for more black designers to be in the spotlight and get the recognition they deserve. When she’s not having open conversations with designers and showroom managers, she’s mentoring young people of color and preparing them to break into the industry. Though the issue is multifaceted, we can all act within our sphere of influence to set new rules. On a corporate level, it can be tackled with hiring processes. Marketing directors can expand their recruiting efforts to find and employ more diverse candidates on their team. The industry can put more black designers forward. Creative directors can get input from different people (including the ones who don’t look like them) before executing their vision. News outlets can use their platform to amplify the voice of marginalized communities. Many attempts at inclusivity are often superficial ways of gaining social media attention or clout and don’t truly reflect a dedication to changing things. Truly progressive brands incorporate diversity in every step of the creative process and do it consistently. As consumers, we also have a unique opportunity to push the movement forward. We are ultimately the people with the buying power. We can not only hold the Ulyana Sergeenkos of the world accountable for their actions but also invest in companies that represent more diversity and inclusion. This means purchasing from designers of color and supporting boutique owners and entrepreneurs who share the mission. This also means highlighting these doers on social platforms and boosting their visibility. Conversations like these are crucial and they need to be had daily. But beyond talking, we need to be doing. Actively challenging the status quo (in board meetings, interviews, backstage, at events etc.) and making changes. We share our struggles and raise awareness on the issue not to attract pity but to put an end to the problem. Let’s look past feeling bad or being uncomfortable and contribute to the solution in concrete ways. We’ve come a long way, but there’s still a lot to do. So let’s get to work.